End off, leaving a long tail for stitching. I found my carrot nose button at Joann's, and then just raided my button box for buttons to make the eyes and mouth features. 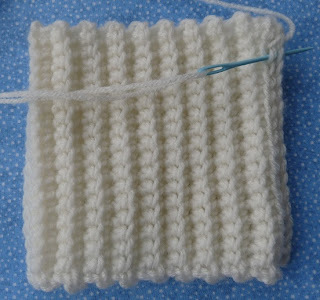 When I made the knitted version, I stitched all the buttons on, but found this to be difficult, especially when the cozy wasn't stretched out over the jar. On this crocheted version, I first slipped the cozy onto the glass jar/vase. I then put small pieces of doubled-over scotch tape on the back of each button, then I positioned all the buttons onto the cozy to form the face features, adjusting as needed, until I had them where I wanted them. I then pulled off each button one at a time, removed the tape from the back, then hot glued the button back into place. Love it!!!! Now where are those crochet hooks? This is just lovely. I can imagine it filled with candy canes, wonderful. Thanks so much for sharing. Very Cute Doni! 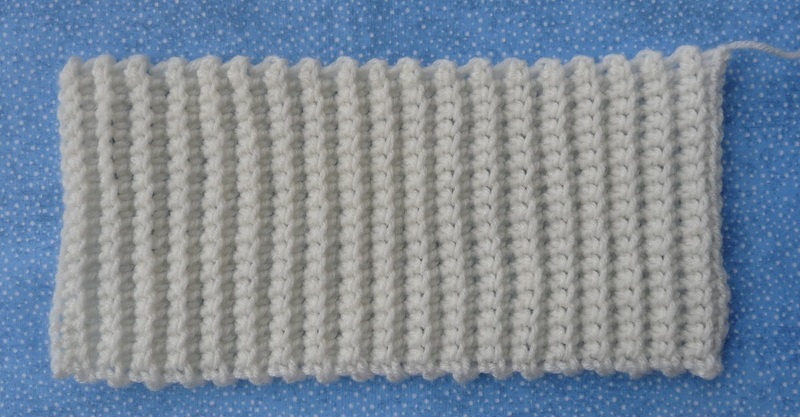 I love that you can translate a knitting pattern into a crochet pattern! That looks so great Doni..
Often more I see pattern that need to be crochet in back loops.. never done it befoe for a whole pattern.. But this effect looks so great!! Great idea, will have to make a few of these for in-laws for Christmas...we all try to give each other something we created. Thank you. Thanks for the crochet pattern for this. I really wanted to make the knitted one when I saw the Red Heart pattern but I didn't have any DPNs. This is great! This is just what I needed! 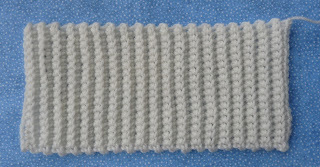 With yarn on sale this week I can make several of these. I plan on getting the jars at The Dollar Tree and using them as Christmas gifts for my neighbors. I always try to make them some little something. After I get the jar and the crocheting done I will fill them with candies for a sweet treat! Thank you so much for sharing! Love him!!! Will definitely be making one for our church!! Thanks for sharing!!! This is great as a pumpkin / jack-o-lantern too. 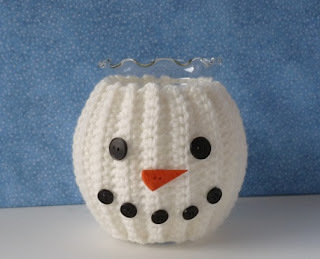 I have been asked to make a santa that fits a jar cozy like the Snowman Jar Pattern. 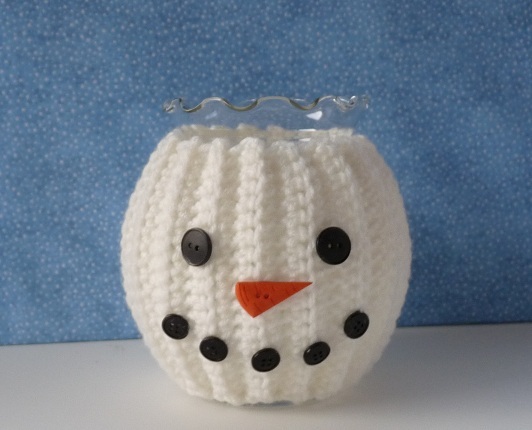 Do you have such a thing or can you recommend how to change the Snowman pattern. Thanks forr listening . I enjoy making things from your patterns. Love the look of this. I am going to make these for the teachers at school and one for my church for the kids and fill them with candy canes. Can't wait to pass them out. Thank you so much for this great pattern.